Isabel, Ewan and Matt are here to help give you the inside track. 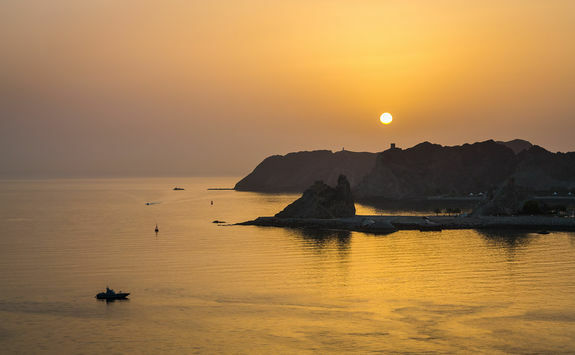 On this unforgettable nine-day, self-drive adventure, you'll see the best Oman has to offer. 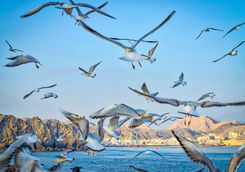 Sleep out under the stars on an Arabian desert safari, soak up the culture in Muscat, snorkel with dolphins and step back in time as you visit ancient mountainside villages, on this once-in-a-lifetime trip. Leave London in the evening on the overnight flight to Muscat. The flight takes just over seven hours, so plenty of time to fit in a film, a snooze and get acquainted with your Original Travel self-drive itinerary for the next week. Once you land this morning, pick up your hire 4x4, which will be ready and waiting for you. It's an early start this morning for a real bucket list contender - a dolphin cruise. You'll be met at your hotel for the transfer to the marina and then you're off by boat. 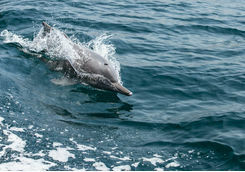 Your skipper knows the best places to spot these amazing creatures and as you navigate the waters off Muscat you should see a variety of dolphin species in large numbers. 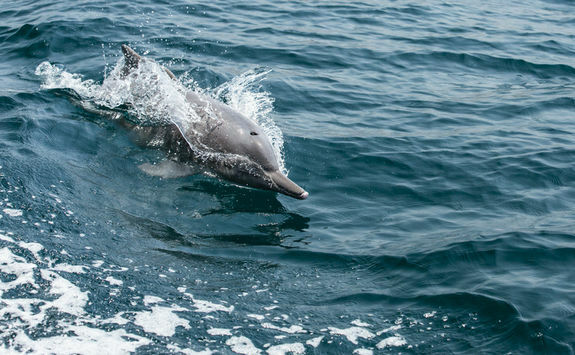 If snorkelling is your thing, after the boat trip we can drive you to Bandar Al Khayran, an incredible snorkelling spot where you may see more dolphins, this time up close. 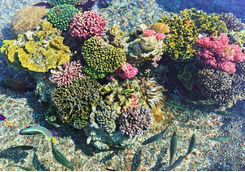 Just pop on your mask and swim out from the beach into crystal clear waters alive with coral and underwater life. 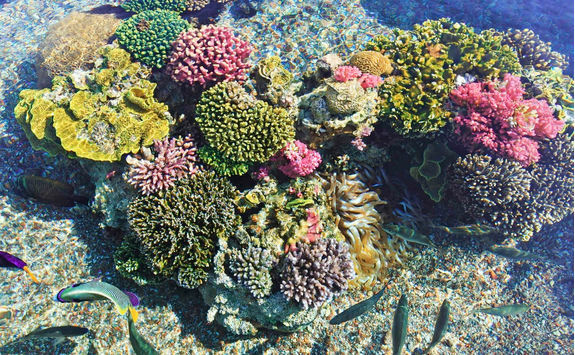 Even if you don't spot a dolphin, there's still plenty of tropical fish, turtles, moray eels and stingrays to see. 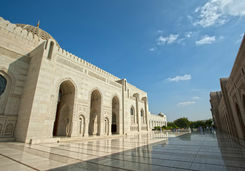 After this, it's back to the hotel for lunch and a rest before you head out for a fascinating tour of Muscat. 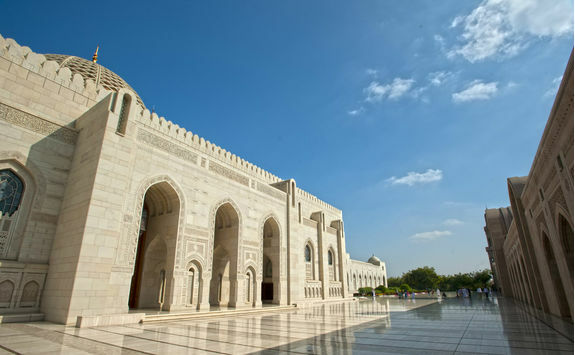 Our guide will pick you up at your hotel, then take you on an adventure right into the heart of the Omani capital. 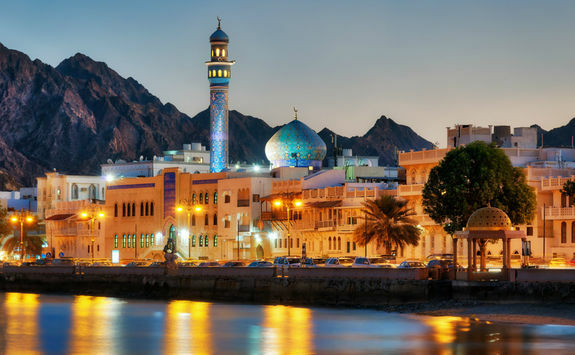 Taking in everything from the architectural beauty of the Sultan Qaboos Grand Mosque to the bustling Muttrah Souk - the perfect place to bargain for amazing Arabian keepsakes - this tour will give you a real taste of Muscat as the sun sets. 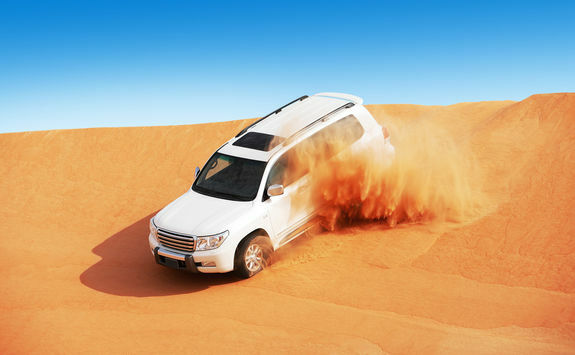 It's time to hit the road today as you self-drive to the Wahiba Sands. First stop on your epic road trip is Wadi Shab, one of the most breath-taking wadis (river gorges, sometimes dry) in the Sultanate. 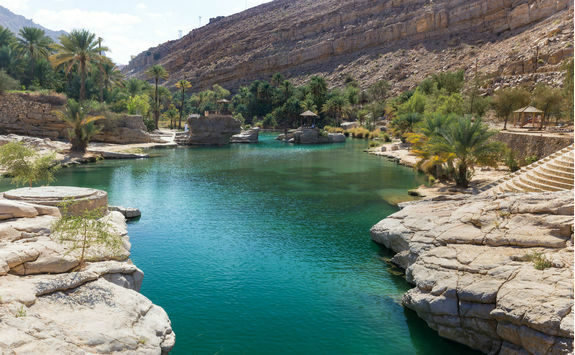 The walk along the river showcases some of Oman's most beautiful scenery - think natural turquoise pools, stunning waterfalls, terraced date and banana plantations, pink oleander in full bloom and kingfishers swooping, hoping to catch their lunch. If you're feeling adventurous, there's a fantastic waterfall in a cave, which can be reached after a 40-minute hike and by swimming through a couple of pools - trust us, it's worth the effort. 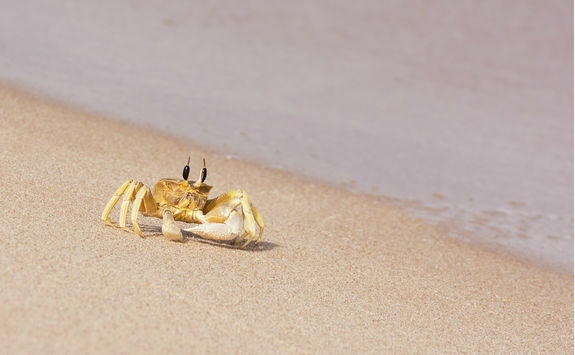 Of course, you only need to walk as far as you like to soak in the natural surroundings, just cool off in one of the fresh water pools, before heading back to your 4x4. 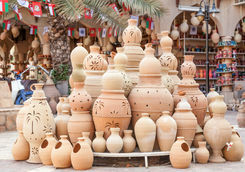 Next stop is Wadi Bani Khalid. After a zigzag drive up the mountainside you'll reach this little oasis with its turquoise waters, green palm trees and dusty, rocky surroundings. Small villages and plantations line your route, and there's plenty of spring water pools to take a dip in - just be respectful to the locals and keep well covered when bathing here. Refuel with a picnic provided by the hotel, before making your way into the desert for late afternoon. Here starts your desert adventure into Wahiba Sands. 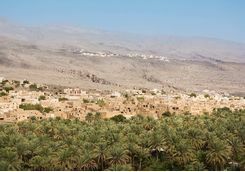 Your guide will meet you at a designated spot and drive you across the sand dunes to a magical Bedouin camp, where you'll catch a glimpse of a traditional nomadic life that is fast disappearing in Oman. It's the stuff of Arabian Nights dreams. 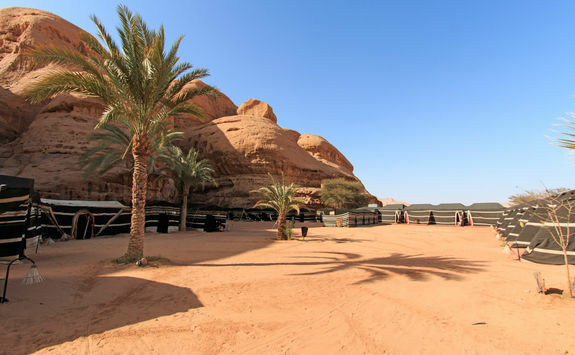 Enjoy some traditional dancing and share coffee and dates with the Bedu men and women before watching the sun set and sleeping under the stars at your well-equipped desert camp. 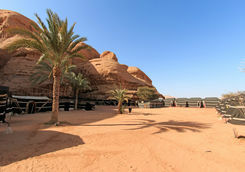 Bid farewell to the desert and your Bedouin hosts before returning to your hire car for another day of self-drive adventure. Ibra, one of the oldest cities in Oman, is well worth exploring. The old quarter, with its mosques, watchtowers and the remains of stately, mud brick mansions, really feels as though time has stood still. 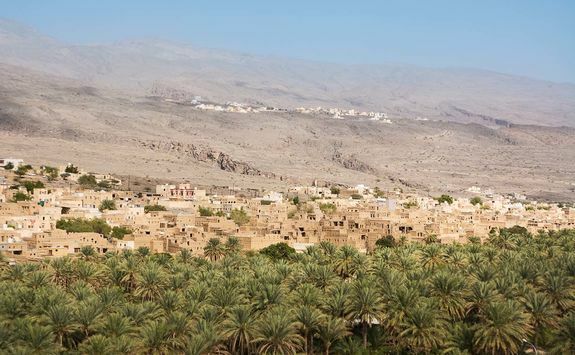 Farmers' plots, heaving with vegetables, bananas, mangos and, of course, dates, sit alongside the modernised 1970's city - the perfect juxtaposition of life in Oman. 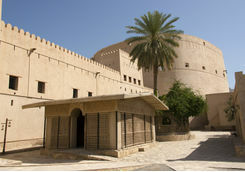 Carry on towards Nizwa, a great place to stop for a spot of lunch. 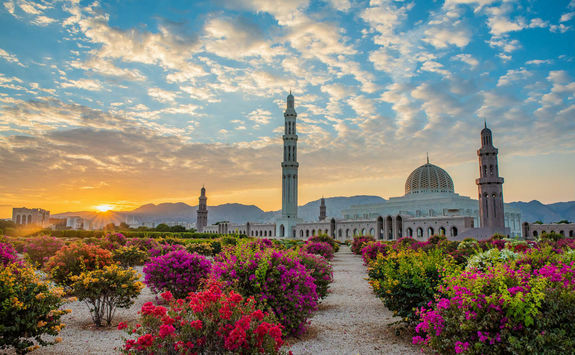 Relax in the balmy atmosphere of the city, with its lush orchards, palm trees and rivers, before visiting Nizwa Fort, an impressive example of 17th century Arabian architecture, with a soaring central tower and glorious views across the mountains. 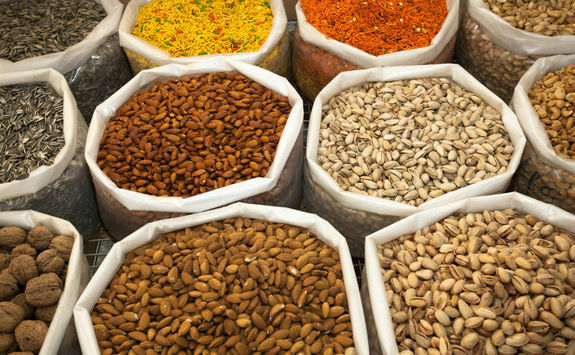 Nizwa Souq is also a great place to dive into Omani life - it's the central hub for the city and various sellers offer everything from Omani silver to sweet, traditional halwa (delicious and oh so sweet confectionary). 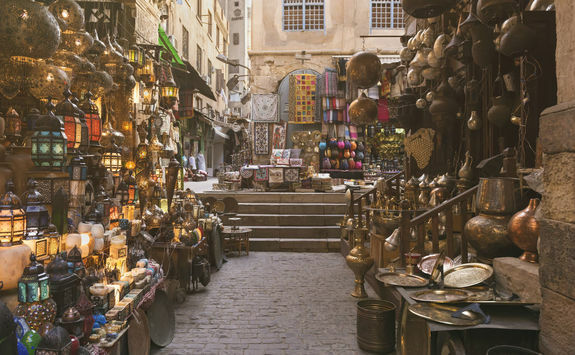 Time to flex those haggling skills. 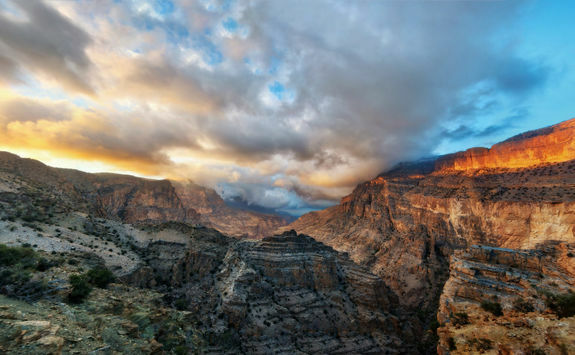 From Nizwa, drive up through the Hajar mountain range to the Jebel Akhdar region, with awe-inspiring panoramic views along the way. 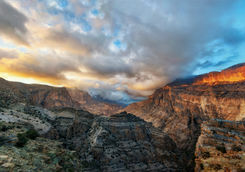 Jebel Akhdar means 'Green Mountain' in Arabic, with its wadis, peaks and terraced hillside enjoying cooler temperatures and higher rainfall than anywhere else in Oman - which is still negligible compared to, say, the UK. 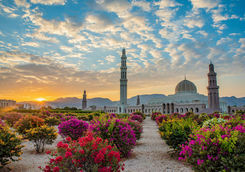 Of course, the landscape is unmistakably Omani, but it's also home to flourishing orchards growing apricots, pomegranates and walnuts, as well as traditional villages tucked away in folds in the mountains. Once you reach your hotel, another luxurious five-star resort and home for the next three nights, you can relax and kick back for the rest of the evening. Start the day with a dip in the outdoor infinity pool - complete with spectacular views across the Hajar Mountains - before jumping in your 4x4 to take in some of the sights at your leisure. 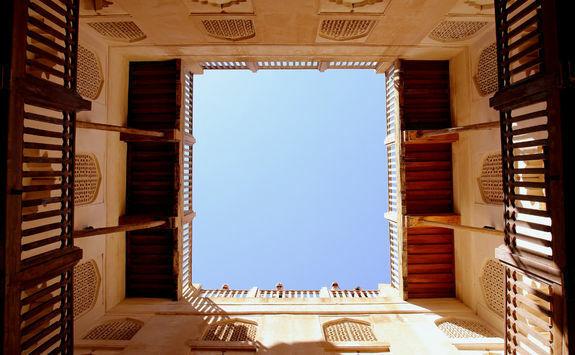 Bahla is home to one of Oman's biggest and most elaborate forts - in fact, it was the first Omani site included on the UNESCO World Heritage List. 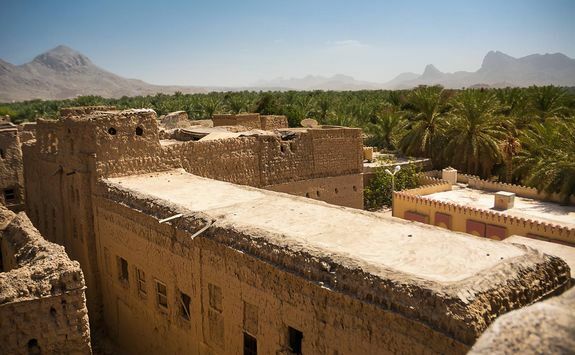 The site is believed to have been home to a fort since pre-Islamic times, but the fort you'll explore was built in the 13th century, with extensive rebuilding in the 1600s. 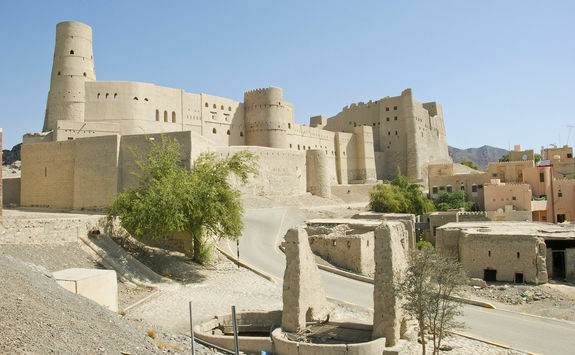 Mysterious and majestic, it's everything you'd imagine of an Arabian fortress. 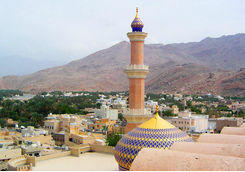 The town of Bahla itself is known as the 'City of Magic' and is linked with many legends and myths. 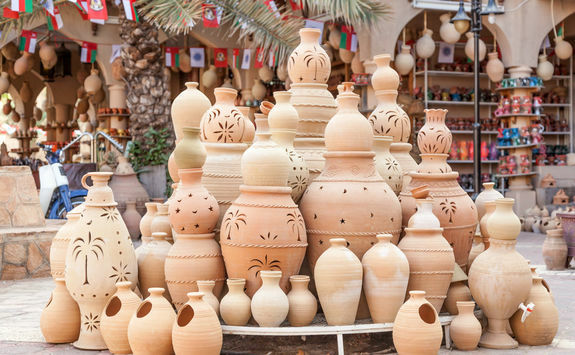 Stroll around the town inside the ancient city walls and you will see the traditional Bahla potters creating their distinctive earthenware pottery. 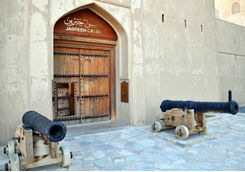 Close by is Jabreen Castle, arguably the most impressive and beautiful historic castle in the country. 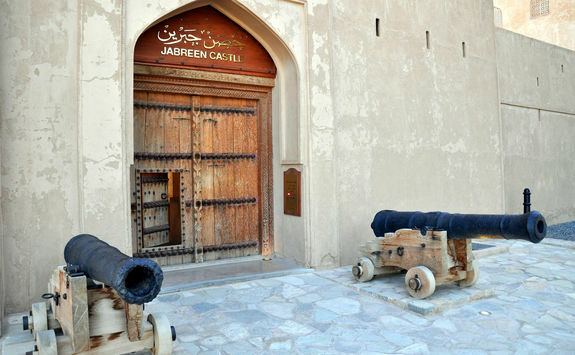 Built in the late 17th century, it's an authentic display of Omani craftsmanship - the castle's ceilings are decorated with elaborate paintings and even the doors are beautifully carved. 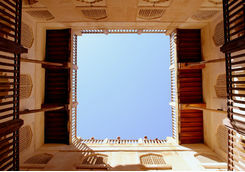 The Sun and Moon Hall is utterly mesmerising, as is the knock-out view from the top of the castle. 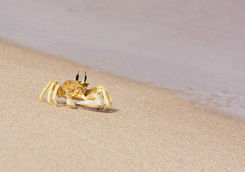 Wrap up another magical day in Oman with an indulgent spa treatment and fine dining back at your hotel. Relax over a lazy breakfast, before heading out in your hire car to explore more of the local area. 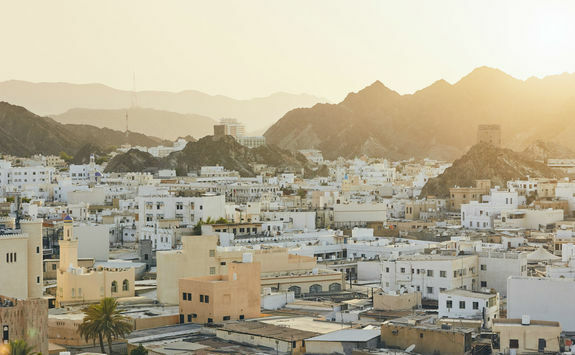 Driving into the charming, 400-year-old mountain town of Al Hamra, the oldest in Oman, is like stepping into a time warp. Well-preserved, traditional Yemeni-style mudbrick houses sit along winding, stone alleyways ­- it really feels like little has changed in centuries here. It's only the occasional sighting of a slightly newer building, or an electric light, that makes you realise what century we're actually in. 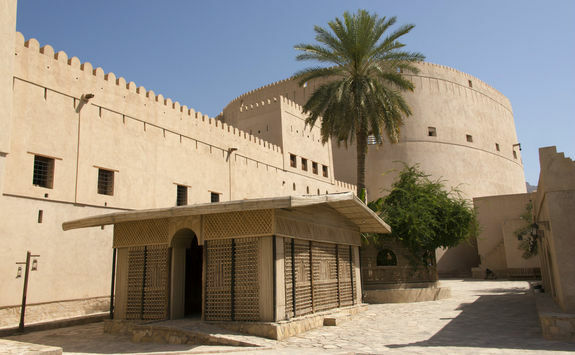 Bait al Safah Living Museum is a brilliant place to visit for a taste of life in old Oman. This traditional mud house has been beautifully restored, offering an authentic look at times gone by. Fall under its spell as local ladies show you their age-old methods for grounding coffee and flour, baking their traditional bread and pressing oil. If you're keen to get back to nature, there are some amazing mountain hikes along well-marked trails close to the hotel. We can also arrange a fun stargazing experience - a fantastic and light pollution-free way to spend your final night in the mountains. Start the day in style with an al fresco morning yoga session at your hotel, looking out across the Hajar Mountains, before starting your journey home. 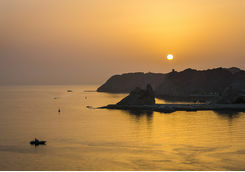 It's around a two-and-a-half hour drive back to Muscat, so make your own way there, at your own pace. 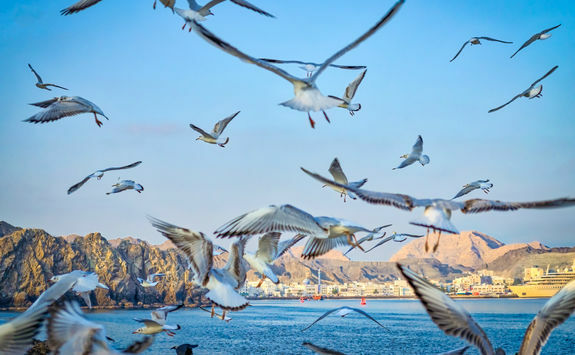 Once you've checked into your hotel, the rest of the day is yours to spend as you like - whether that's relaxing in the spa, reading by the pool or taking one final trip into Muscat city for some sightseeing and shopping. 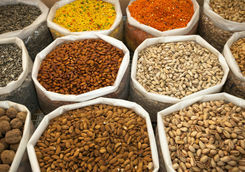 Our Concierge will be able to give you some top tips on where to eat out for an unforgettable Arabian feast or you can enjoy the top-class food on offer in the hotel - it's completely up to you. Sadly your Arabian adventure has to come to an end. This morning you will be met for your private transfer to the airport (we will have arranged for you to leave your trusty 4x4 at the hotel) before boarding the eight-hour flight back to London, which lands in the early afternoon. 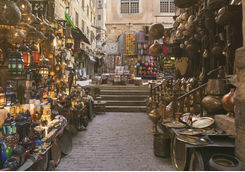 Isabel, Ewan and Matt are our experts for this itinerary and as seasoned travellers they have the inside track on the most memorable adventures.